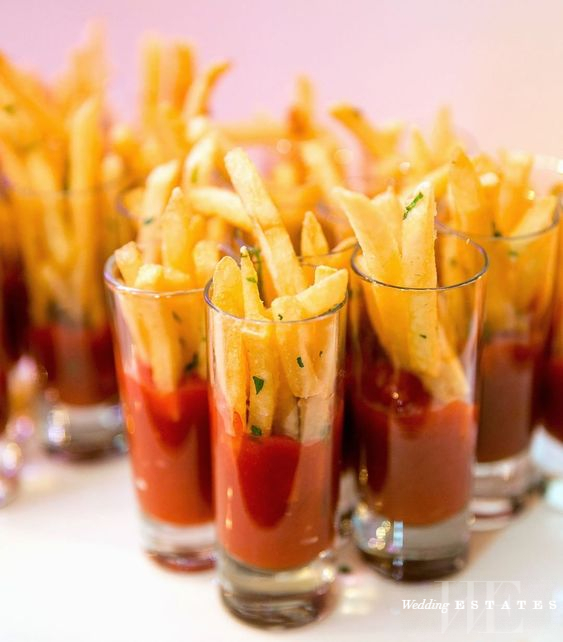 Looking for the best wedding finger foods to serve to your guest at the wedding reception? Here are some tasty options. You need to present several varieties of food menus at your wedding reception so that your guest can have various options to choose from. Delicious finger foods can also be used as an appetizer or an in-between course meal. Let your guest have some fabulous finger foods at the wedding reception while they move around chatting and meeting family members and friends they’ve not met face to face in the past couple of years. Pinwheels are small delicious roll-up that your guests will love to throw into their mouth while moving around chatting with friends or waiting for the arrival of the bridal train. Basil pinwheel is a combination of delicious recipes like cream cheese, sun-dried tomatoes, garlic, and fresh basil. It is easy to make and you can have as many as possible to satisfy your guests. If you are planning a wedding party that includes kids then don’t forget to include mini quiches on your food menu. Mini quiches use wonton wrapper for a crust, its crispy edges makes it appealing and enticing with a soft and succulent bottom. It contains vegetable and proteins that make it good for not only children but adults too. Pepperoni pizza cupcakes are good because of its high veggie content and it’s easy to make. The recipe includes the pepperoni, cheese and a delicious pizza sauce that is baked with wanton paper for a crust. You can also add mushroom, spinach, carrot, zucchini, and low-fat cheese, all grated. You can also use turkey or chicken instead of a pizza. Making a popper cupcake is easy and comes with a great taste either with a BBQ chicken or with a jalapeno. The recipe includes bacon, jalapeno poppers stuck with BBQ chicken or barbeque sauce, cream cheese or cheddar cheese. The jalapeno popper cake is good for any of your guests who are cheese or cheese accessories lovers. Turkish cig kofte is a nice tasty finger foods that your guests will enjoy. It’s a special menu for south Turkish that your guest will find easy to try out even if they are not from the area. The recipe includes ground beef without fat, bulgur, islot (a hot spice that gives the cig kofte its dark color). Turkish cig kofte is served in a lettuce leaf with a drop of lemon, then wrapped up in a roll.